For students doing an archaeology degree, compulsory field school experience is on the cards. 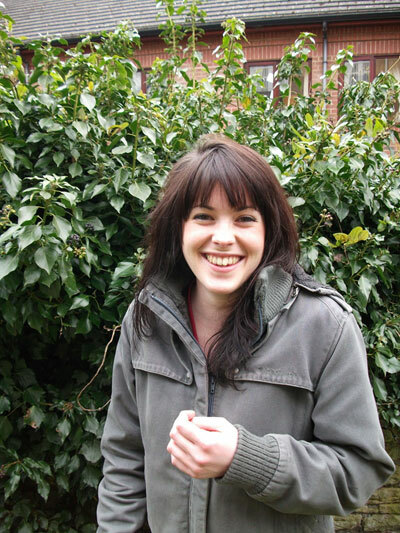 Phoebe Scrivener, archaeology graduate from Sheffield University, tells you what to expect. When you are out in the field, anything can happen: expect everything from being stranded on the highest summit in the Peak District during a torrential hailstorm, to helping a maladroit ewe reverse out of an awkwardly-shaped and very deep trench. There is no such thing as being too prepared when it comes to archaeology. My first big dig was during my initial year at University. My arrival on-site coincided with a typical summer thunderstorm; the field we were camping in was a bog. After setting up the tents, we headed out for our first look at the site. I was quite disheartened when, after spending seven hours backfilling a trench the size of a football pitch, I wearily returned to camp to find my tent blown halfway across the field. Lesson learned: guy ropes come in handy. But, after a night of sharing the day’s experiences with like-minded students, bonding over a universal dislike of portaloos and participating in a variety of obscure drinking games, the remaining weeks flew by. The friends you make on a dig are second to none. If you go with an open mind and a willingness to join in every aspect of a dig, then even the ‘mundane’ tasks such as mattocking concrete become thoroughly enjoyable. Uncovering a human burial and discovering a rare Roman coin are two of the highlights from my field work experiences. There is a great feeling of elation when you have found a piece of the puzzle that is the archaeological world; it’s a thrill that makes factors such as bad weather and being wet, filthy and aching seem utterly trivial. I try to go on at least one field season every summer — witnessing an archaeological event is fascinating and being able to lend a hand is a fantastic experience. Field school is not just for university students. I would highly recommend participating in a field season to anyone, regardless of age or fitness -I guarantee you will have a great time. Don’t underestimate the unpredictable nature of the British weather : the unprepared archaeologist could experience sunburn and trench foot’within the space of a few hours. Kit yourself out appropriately. You will have the opportunity to undertake a variety of tasks from excavation and recording to lending a hand in the kitchen. On-site work can be incredibly exhausting; have some sugary snacks in your pocket to keep your energy up, drink plenty of water and get stuck in — there is an excellent sense of camaraderie on site that can make the most laborious tasks enjoyable! You will probably find yourself living on-site, which could mean camping and basic facilities. A decent tent and sleeping bag always makes a difference. Stay on top of your work. Fieldwork will be followed by a written report; take lots of photos of your progress and make copies of your data. Be sure to jot down a few notes before you go to bed, as written work will be much better whilst it is still fresh in your mind. The nights are great fun, but try not to overdo it — tomorrow is another day! Get plenty of rest. The social opportunities of field schools are fantastic. Try to talk to everyone — not only will this keep you in the know about the site progress, but it also gives you the opportunity to network with brilliant archaeologists.